Mosques are very important in Islam. Having arrived and settled in Medina, the Messenger of Allah (peace be upon him) was keen to establish a well-organized and deep-rooted Muslim community composing of all Muslims: The Ansar (Supporters) and the Muhajirin (Immigrants), who lived in Medina. So, the first step he took was building a mosque. No wonder building mosques is the first and most important pillar of establishing the Muslim community, because it gains stability and coherence from abiding by the system, creed, and morals of Islam. All these stem from the spirit of the mosque and from revelation. The bond of brotherhood and love among Muslims is one of Islamic rules and etiquette, however, the spread of this bond is merely obtained in the mosque. Unless Muslims meet one another several times in a mosque regardless the disparities of prestige, money and consideration among them, the sense of familiarity and brotherhood cannot bring their hearts together. One of etiquettes in Islam is to spread the spirit of equality and justice among Muslims in their different affairs and conditions. 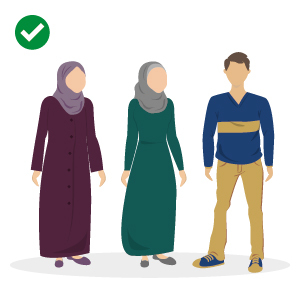 This sense cannot be circulated unless Muslims stand in one row before Allah. They were as equal footing of servitude to Him and their hearts got attached to their Lord, the One. When every Muslim goes home to worship his lord, bow down and prostrate himself to Allah without congregation, the meaning of justice and equity shall not prevail the meaning of selfishness, arrogance, and egotism. One of Islamic rules and etiquette is melting the scattered groups of Muslims in one crucible of deep-rooted unity in which they hold firm with Allah's rope (i.e. Shariah and rule). If there had been no mosques all over the Muslim communities for Muslims to meet and learn Allah's Shariah and hold firm with it based on knowledge, their unity would have turned into scattering and soon they shall be scattered by lusts and whims. In order to achieve all these meanings in the Muslim community and their new state, the Messenger of Allah (peace be upon him) wasted no time building the mosque. (Quoted and paraphrased from Professor/ Muhammad Sa`id Ramadan Al Bouti's book "The Jurisprudence of the Prophetic Biography"). The role of Al Farooq Omar Bin Al Khattab Mosque & Centre since it was built in 1986 has not been limited to performing the five obligatory prayers, Friday Prayers, and the Two `Eids therein, but it serves a sublime and noble message to be a cultural and cultural beacon, an Islamic centre for humanitarian dialogue, highlighting the role of Muslims in the world culture, and confirming the greatness of Islam. Al Farooq Omar Bin Al Khattab Mosque & Centre is a Mecca for tourists and foreigners, a tourist landmark, and an Islamic and cultural centre where large groups of tourists race to visit and take tours therein. A daily program was made for field tours in its corridors led by highly trained and qualified guides. Sheikh Dr. Fares Al Mustafa, Imam and Preacher of Al Farooq Omar Bin Al Khattab Mosque & Centre delivers a Da'wah-related and guiding speech to school students and visitors in which he explains Islamic tolerance, moral rectitude, and etiquette, and the commonalities with adherents of other faiths. Guides highlight the architectural and engineering creativity of the mosque and its basic facilities, such as: Two praying places for men and another for women, where the mosque accommodates about two thousand worshippers. It also includes a library that contains 3,000 books of various Islamic sciences in both English and Arabic, an auditorium, a classroom, and a management office. The cultural guides at Al Farooq Omar Bin Al Khattab Mosque & Centre are keen to informing tourists and visitors during the tour about how and when the mosque was established, its history, architectural designs used in its building, Islamic decorations and paints engraved on its walls, and introducing them to the etiquette of entering the mosque and general concepts of the mosque's role in the Muslim life, in addition to lecturing on the tolerant teachings of Islam, and the deep-rooted Arab customs and traditions of the United Arab Emirates. The tour in the mosque takes 45 - 60 minutes. The Al Farooq Omar Bin Al Khattab Mosque and Centre is open daily Sunday to Thursday. Taking into account the times of prayer. P.O. Box: 124343, Dubai, the United Arab Emirates. Performing two Rakahs for greeting the mosque before sitting down if it is not the time of an obligatory Salah, and whoever is unable to pray for a purpose, he should say, “Subhanallah wal-Hamdullilah, wala Ilaha Illa Allah, wallahuakbar, wala Hawla wala Quwwata Illa Billahil-Aly Al Al `Azhim [i.e., Glory be to Allah, All Praise is for Allah, There is No God but Allah, Allah is the Greatest, and There is no Might or Power except with Allah].” Three times. Taking off shoes, cleaning them outside the mosque, flip them to one another and put them in the nearest dedicated place. Be careful not to lift it over heads or polluting the mosque with dirt, then closing the mosque door quietly after entering. Taking into account the cleanliness and purity of socks when walking on the mosque carpets. Avoiding eating raw garlic, onion, or any unpleasant smelling food and entering the mosque before removing such a smell by cleaning the mouth with water, toothpaste, and toothbrush. Jabir (May Allah be pleased with him) narrated that the Prophet (peace be upon him) said, "He who has eaten garlic or onion should keep away from us or our mosques.'' [Reported by Al-Bukhari and Muslim]. Avoiding game, playing, running, idle talk, chatter, and raising voices even while reading the Qur’an in a way that disturbs worshippers, those who mention Allah, or knowledge seekers. Avoiding quarrelling, engaging in worldly matters, buying and selling, and looking for a lost thing. Avoiding squatting down, and entwining fingers, cracking, and playing with them in the mosque or while waiting for Salah. Avoiding eating foods in the mosque or making them places for rest, taking a nap, or chatting. Moreover, avoid falling into unlawful deeds such as backbiting, gossiping, lying, and slandering others. 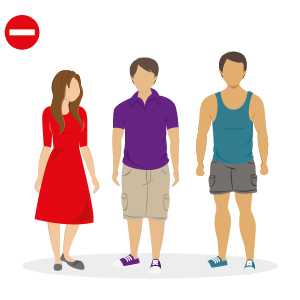 Wearing shorts are not allowed neither for men nor for women. Tight clothes or swimming suits are not allowed. 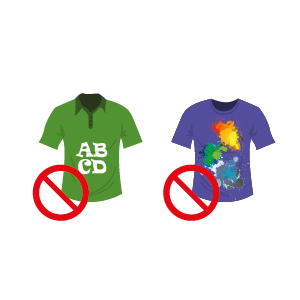 See-through clothes are not allowed. Shoes should be taken off upon entering the mosque. Women must cover their heads. Al Kandora (UAE local long garment) for men and cloak-like for women are available upon arrival at the mosque, unless you want to bring your local clothes.